Reports by Citizen Digital indicate the party leader dismissed claims of divisions and weaknesses in his party while adding that the ODM is a very strong and united. He also added that the defeat in two mini polls was not a big deal. “Elections are won or lost… So the fact that someone has lost an election is not a big deal,” Odinga stated. He was speaking during a press briefing with journalists after having a meeting with leaders from Rift Valley at his Capitol Hill office in Nairobi. 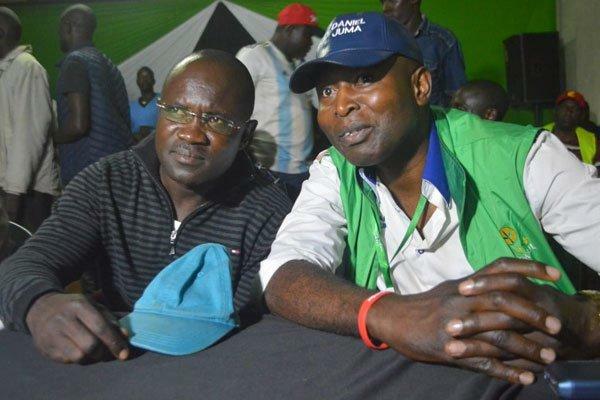 On Saturday, both ODM candidates were trounced in the elections with Chris Karan losing the Ugenya seat to Movement for Democracy and Growth Party candidate David Ochieng. Various leaders had come out to congratulate the two leaders while at the same time insinuating that the ODM Party was having divisions. “Congratulations Ochieng (Ugenya) and Mawathe (Embakasi) for your God-given victory. The hustler nation has spoken, the people have decided,” Deputy President William Ruto stated. “Ugenya and Embakasi East are just the beginning of the approaching revolutionary earthquakes. Get ready for the bumpy ride. Viva!” Miguna Miguna stated. The Rift Valley leaders were having a consultative meeting with the former Prime Minister with the agenda including the ongoing famine and hunger, corruption and education in the Rift Valley region. “There is a need to speed up the war on corruption,” the former Prime Minister stated.